Bayelsa State Governor, Mr. Seriake Dickson, has said that Governors in the country are presently passing through difficult and trying times. Dickson who spoke in Benin City at the thanksgiving service to mark Governor Godwin Obaseki’s one year in office said God’s intervention has been helping governors in the country to remain focus. He said he was in the state to show solidarity with Governor Obaseki according to him has done well in office. 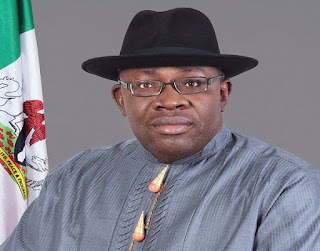 Dickson said he declared a special holiday in Bayelsa State to thank God because it was not easy to win elections, go through several litigations to remain in office and then face the hurdles of governance. “These are difficult times for governors. No one knows it better than those who have been there. We just have to keep focus because distractions and detractors are bound to be there. “It is our business to rely on God to keep focus on delivering good governance. We have to pray for governors and those at the helm of affairs in this country,” Dickson said.